Alaska Airlines will begin offering non-stop service between Seattle (SEA) and Oklahoma City's Will Rogers World Airport on July 1st, 2015. 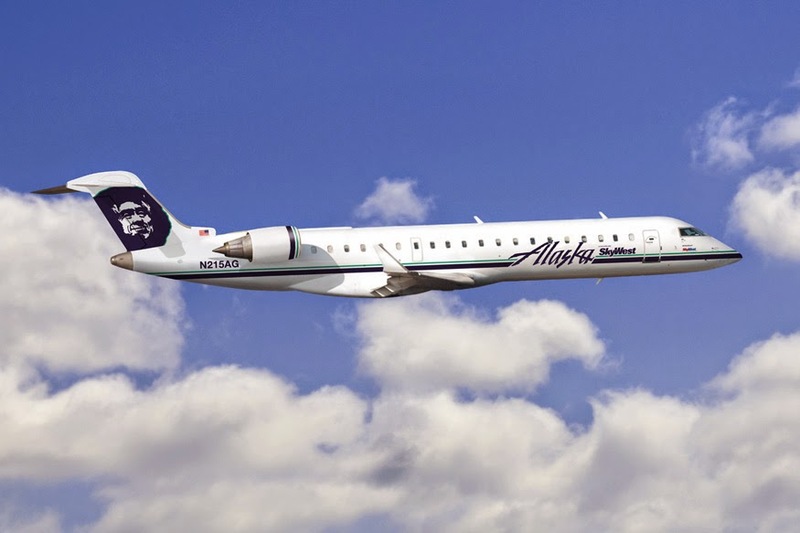 This new service is a part of an expansion between Alaska and SkyWest. The route will be serviced the Embraer E175 (and, yes, I know I have a CRJ700 in the picture). It has been said that the route depends largely on the fact that Boeing is expanding its operations in Oklahoma City. Although I really love the fact that Oklahoma City is getting a direct link to Seattle, I won't be flying on it. Oklahoma City is largely serviced by "regional" aircraft. Thanks to United we have seen an increase in the E170 and E175 fleet in Oklahoma City, but our mainline presence is slowly being replaced by these aircraft that "blur the line between mainline and regional." Here's the fact, an E170 or E175 serviced by SkyWest or Mesa isn't mainline. The other interesting thing about this move is that Alaska has a maintenance agreement with AAR. Alaska flies their 737s to OKC to be repaired, much like Allegiant with their Mad Dogs. Why not utilize the route as a profit point? I'm excited to see new service, I just wish United was bringing a 737-800 to service the route. Truth be told, I don't expect to see the route last all to long.